It is often said that you regret the risks you don't take in life. 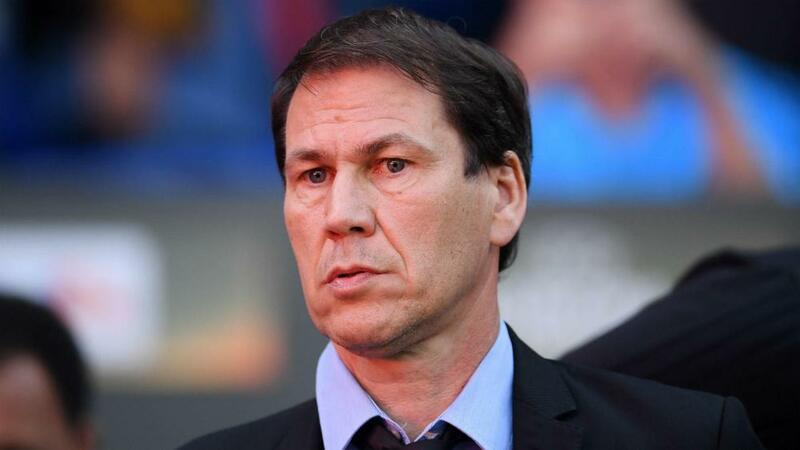 However, when Rudi Garcia reflects on the Europa League final, he may wish he had exercised more caution. The Marseille coach elected to play Dimitri Payet, even with the France winger not fully fit following a muscle strain, and it blew up in his face spectacularly. Atletico Madrid took the lead through Antoine Griezmann in the 21st minute and, 11 minutes later, Payet bid a tearful farewell to the Groupama Stadium stage as he limped off. With Payet's exit went any hope of them clawing a way back into the contest, which Griezmann and Gabi ensured was taken away from them completely in a 3-0 defeat, yet in his post-match media conference Garcia stood by his decision to start his hobbled star. "We were hoping he was close to 100 per cent ready. It did not get worse, it was even getting better day by day. We did a [fitness] test this morning," he said. "He was not totally confident, particularly about playing without any fear and in terms of kicking the ball as hard as usual. This fear remained for the 15-20 minutes he played. "It did not get worse today, it's just that it was still a bit early to be 100 per cent [fit] on the pitch, that's all. I think in this kind of game it's a risk worth taking, though." But, with Marseille's hopes of a direct route straight into the Champions League group stage only thwarted until the weekend, Garcia could feel very differently if the final round of Ligue 1 matches do not go in Marseille's favour. Victory for Atletico, who have already qualified for the Champions League, means the automatic group-stage berth will go to third place in France, a spot in which Marseille could still finish. They are a point behind Lyon in the race for third and three points behind second-placed Monaco. Marseille would appear to have an advantage, hosting a mid-table Amiens side with little to play for at the Stade Velodrome, while Lyon take on a Nice team still fighting for Europa League qualification. Marseille, though, will know that having favourable opposition counts for little if you cannot take advantage. And, while Atletico provided a substantially bigger challenge than Amiens are capable of posing, the lifeless nature of the attack once Payet was removed will have been enough to provide encouragement to any team. Even with Garcia insisting Payet's injury was not aggravated, it is fair to assume he is a doubt for the visit of Amiens. Marseille's form both in Ligue 1 and in Europe has seen Garcia's star rise considerably but, should Payet not feature this weekend and they prove unable to capitalise on a Lyon or Monaco slip up, then questions will likely intensify about a risk that, on Wednesday's evidence, looks extremely ill-advised.